We are delighted to be able to bring you the gift of music and wonderful quality audio with the added benefit of worry-free shopping on Amazon. 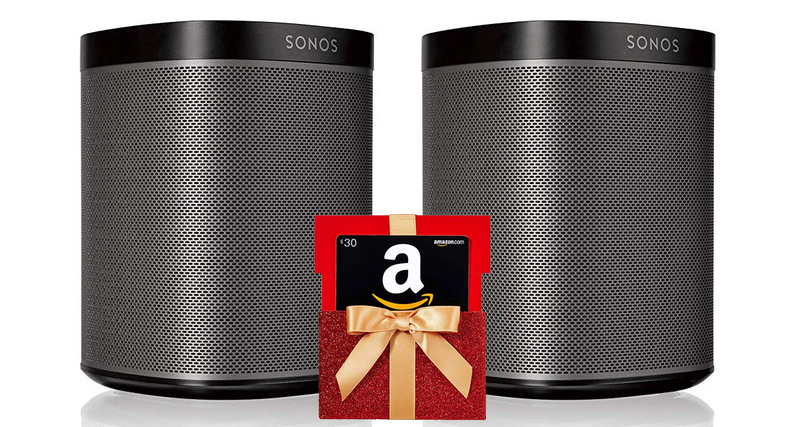 Right now, if you purchase two Sonos Play:1 speakers you will benefit from a free $30.00 Amazon gift card thrown in for good measure. Many audiophiles who need excellent audio and cutting-edge technological features will opt to purchase the more expensive Sonos One. This hardware comes with the expected quality of Sonos speakers but also features built-in voice control via Amazon’s Alexa. However, for those people who simply want excellent audio but without the added cost that comes from the One, then the Play:1 is a viable contender. 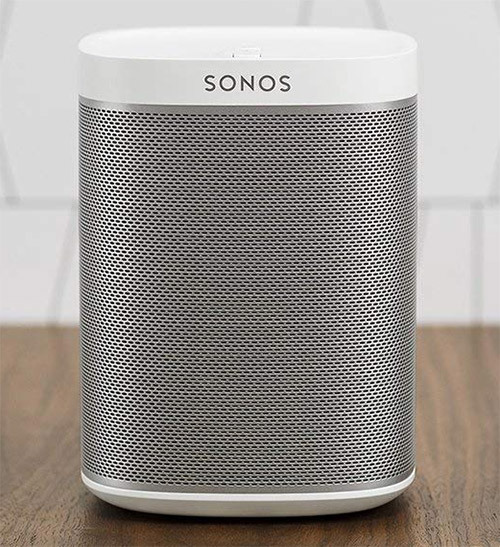 This Sonos Play:1 hardware does work with Alexa but will require the purchase or use of additional Alexa-compatible hardware, such as Echo or Echo Show. This bundled purchase is going to let you put the power of the Sonos Play:1 into two separate rooms that let you fill either room with music or link the two of them together to have chained audio pumping throughout the home. This hardware would also make the perfect companion for anyone who has a Sonos home theater set up and wants to use this purchase as surround speakers. The hardware is also built to be humidity resistant. This might not mean a lot in the first instance but it essentially means that the speaker can be used in areas that you wouldn’t normally think yo put a speaker, such as a bathroom or a wet room that wouldn’t normally get powerful and quality audio. If you have been looking for the power of Sonos in your life via an affordable purchase mechanism, then here it is! You also get the added benefit of being able to spend this $30.00 gift card on anything that you like via Amazon. So, if you wanted, you could put that gift card value against the purchase of an Echo Dot and make your new Sonos Play:1 pairing Alexa-enabled.